Saturday 1/30/10, please join musicians Aaron Olwell (fiddle, flute and concertina) and Dan Isaacson (flute, uilleann pipes and bouzouki) for a session at The Parkside in Lauraville. In addition to the usual traditional Irish music and dance, this session happens to coincide with The Parkside's monthly Beard and Moustache Appreciation Night. Red Canoe is including pizza on their Thursday menu. The deal - a 9" pizza with your choice of toppings and a side sale for $9.75. Yummy! Also, the Red Canoe is putting the final touches to their renovations. According to Nicole, "The fireplace is cozy, the coffee is hot and fresh, and the neighbors are still the best! So stop in soon—and definitely on Thursdays for pizza!" Baltimore Restaurant Week is here through February 7th! It’s a great excuse to get out and dine in Baltimore. We are happy to be offering a Prix Fixe Menu (see menu). Tuesday and Thursday $30, Wednesday, Friday, and Saturday $35.10. We will also be offering our regular Wine Wednesday deal of 15 @ $15- (bottles that is). Looking forward to Valentine’s Day, we WILL be open SUNDAY, February 14th to celebrate LOVE, ROMANCE, + FOOD. We are having a special fundraising dinner on Sunday, January 31st. It will be a fun event to raise money the the St. Patrick's Day parade. A link to the menu. The Hamilton Branch of the Enoch Pratt Free Library has just posted new items on their Calendar of Events, which includes preschool story time and income tax assistance. The Hamilton Branch first opened its doors in 1920 on the corner of Hamilton and Richmond Ave. The land was donated by the Hamilton Improvement Association and the building was a gift from Andrew Carnegie. It was one of the streetcar stops that led out of the city into the farm community. World War II brought a housing boom to the neighborhood and with it more patrons for the branch. By 1950 the branch was too small and no longer met the needs and demands of this growing population. In 1959 a new and larger buiding was opened on Harford Road and Glenmore, designed by architects Cochran, Stephenson and Wing. The building, with its spacious interior and large paned windows, is reflective of the new modern designs that highlighted this time period in Baltimore history. "... as fit as a pancake for Shrove Tuesday." Come One ... Come All ! Feb. 16th 5:30 -7:30 p.m.
Children under Age 6 eat for free! You may have already heard, but as of February 1st, 2010, "Great Soul Yoga" officially becomes "Welcome Om Hatha Yoga"! We will continue under new management in the same location, 4711 Harford Rd. Gentle Yoga is Yoga that anyone can do. It's a safe, slowed-down approach appropriate for individuals interested in easing into Yoga. Seniors, people with chronic pain, injuries, or illness, or those just who want a more peaceful fitness program will love Gentle Yoga. 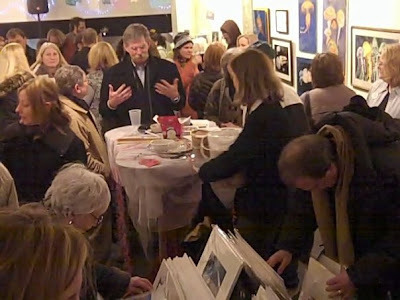 Sunday, February 21, 2010 at 4:00 p.m.
*Kodály Hand-signs (pictured) were featured in the 1977 film, Close Encounters of the Third Kind. NOGLI Happy Hour followed by the Bobwhites at the Parkside on Harford Road! This Friday, January 22nd, at 5:30 to 7:30 pm, Neighborhoods of Greater Lauraville (NOGLI) will be hosting their first Happy Hour at The Parkside! 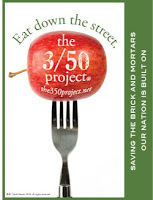 Each Happy Hour will feature a different local business and a different NOGLI program... This month, we are featuring the Baltimore Neighborhood Energy Challenge (BNEC)! BNEC is part of a city-wide initiative to reduce Baltimore's energy consumption by 15% by 2015. To learn more about BNEC, and how you can get involved, visit www.baltimoreenergychallenge.org, or just come to the Happy Hour! We will be giving out door prizes to help you save energy and money, and FREE DRINKS for the winners of BNEC bingo! We hope to see you there! Later that night....starting at 9 p.m., until midnight or so, THE BOBWHITES will be playing at The Parkside in the first of a series of "Fourth Friday" um, not exactly "concerts", more dance party w/ dinner and drinks. C'mon out, it's a Friday! And, it will be good for you, too! Second Floor: professional office space. Iconography The Magazine (a Baltimore-based fashion magazine) will be releasing its fifth and thickest issue to date in our Thickest Issue Ever. Thick not merely as in pages, but in the voluptuous models featured throughout these pages. Traditionally, the fashion industry has notoriously undercut and overlooked the plus size fashionista. Iconography The Magazine will pay homage to the thick chick, the curvaceous mama, the voluptuous femme fatale, and the burlesque queen by highlighting industry models, fashion trends, and runway inspiration all aimed at the plus sized woman. To celebrate we're throwing The Thickest Party Ever. FASHION SHOW @ 11PM FEATURING TORRID.COM, KAPACITY BOUTIQUE, AND MORE!! 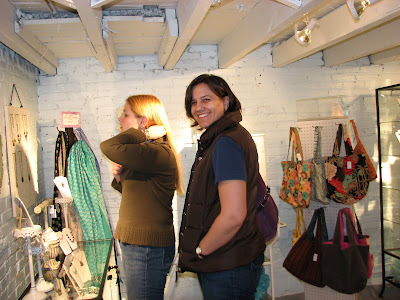 About Kapacity Boutique:The first unique fashion boutique for Kurvy women sizes 10-32 in the Baltimore area. Conveniently located in the Lauraville Community. Thanks to Hamilton Federal Bank located at 5600 Harford Road for their continued commitment to Hamilton-Lauraville Main Street, Inc.
On Monday January 18, 2010, Big Bad Wolf's House of Barbeque offers a free pulled pork sandwich for a $20.00 cash donation to Wings of Hope Orphanage in Haiti. Wings of Hope is a home for disabled children, that recently rebuilt and expanded to include a day school for disabled community children and lovely guest facilities. Since 2007 Big Bad Wolf has been committed to the amazing work being done at Wings of Hope in Fermathe, Haiti. Its employee, Pat Henry, was at Wings of Hope during the earthquake. He is thankfully alive but reports that the situation is desperate. The structure has collapsed and the kids are living in a small shack. 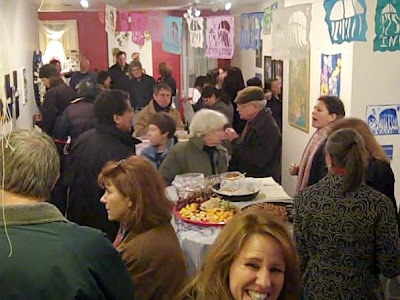 The Fundraiser is Monday, January 18, 2010 from 11:00 to 9:00 pm. A $20.00 cash donation to Wings of Hope will get you a pulled pork sandwich as a thanks from them. A $20.00 donation required for the free sandwich but all donations will be appreciated. I’ll be there around noon – come join me. Pics from Studio C's new space, just below the Red Canoe. 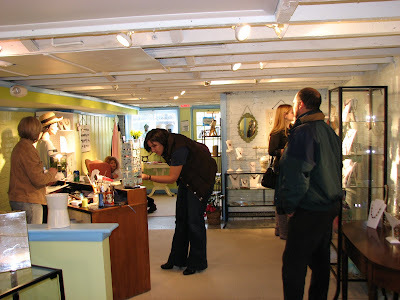 Studio C Jewelry & Gifts is now open in it's new location! Instead of above the Red Canoe, I am below the Red Canoe, in what was once the yarn store space! 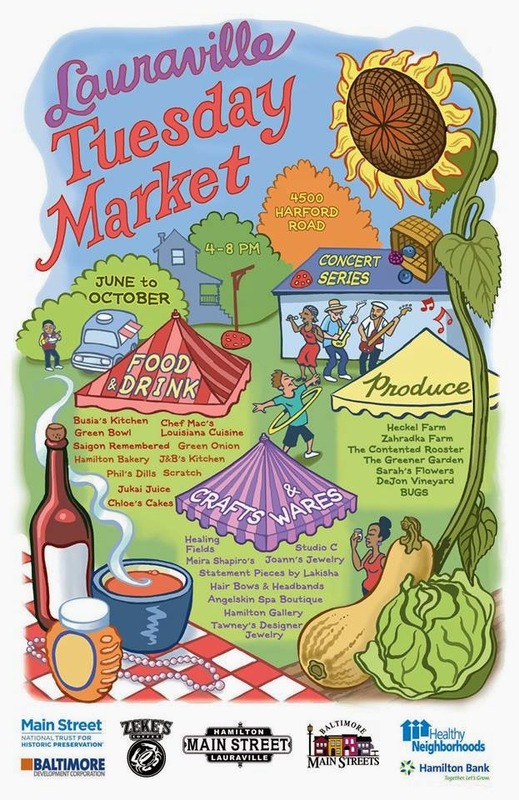 Come check it out, today, 10 a.m. to 5 p.m.! New items arriving daily! Look for the balloons, signs will be coming soon. Hamilton Crop Circle and Harford Road Restaurants: Compost Partners! Check out the Hamilton Crop Circle news on their partnership with local restaurants in Hamilton and Lauraville. On Friday, January 22nd, from 5:30 to 7:30 pm, NOGLI will be hosting our very own Happy Hour at The Parkside Fine Food and Spirits, 4709 Harford Road, 21214! This month, we are featuring the Baltimore Neighborhood Energy Challenge (BNEC)! BNEC is part of a city-wide initiative to reduce Baltimore's energy consumption by 15% by 2015. To learn more about BNEC, and how you can get involved, visit: www.baltimoreenergychallenge.org,or just come to the Happy Hour! We will be giving out door prizes to help you save energy and money, and FREE DRINKS for the winners of BNEC bingo! The Chop Shop is proud to be part of such a strong, dynamic community network and we are thankful to be able to carry this value forward to those who are most in need. Training sessions for the 2010 Census Count are now scheduled. Jobs will be available. This Sunday the Chameleon Cafe is hosting the first ever Lauraville Acoustic Showcase. This will be listening-room style, with drinks and snacks but no dinner available. The feature act will be The Art of Meaning, with Sahffi, Ken Gutberlet & Sarah Pinsker (that's me) doing cameos. Location: The Chameleon Cafe 4341 Harford Rd. There will be no cover charge for this great night of music! Zeke’s is moving its retail operation into the old Grind-On spot (4607 Harford Rd.) in Lauraville in early February. Ryan Schmidt, general manager of production at Zeke’s, said the new place will be a “coffee lab” as opposed to a coffee shop. Customers will be able to buy beans and sample coffee. For instance,organic Sumatra will be available on a regular basis. But the shop will also brew other kinds of coffee for people to taste. It won’t be a place for people to hang out and have muffins, Ryan said. Eventually, Zeke’s hopes to have tastings there. Hours haven’t been decided yet. Mark Tough, executive director of the Neighborhoods of Greater Lauraville Inc., is already a Zeke’s fan. He was on hand Sunday for the coffee company’s annual kopi luwak tasting. “We're pretty thrilled that Zeke's is expanding their footprint here,” Mark said in an email about the expansion. “And we expect more good news [in the Hamilton-Lauraville area] throughout the remainder of the year." 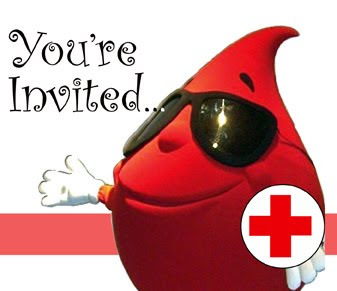 Feb 12, 3:00-7:00 at Harborside Healthcare Assisted Living on 4700 Harford Rd, Baltimore, MD 21214 (at Cold Spring Lane) . Please call Dana Goode at 410 319-7517 to schedule an appointment. For pics of the event, go here! 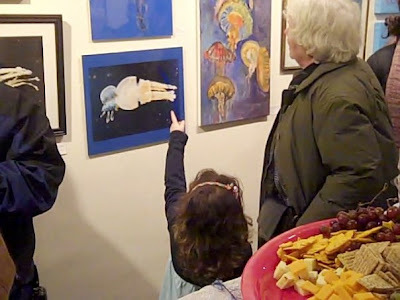 Pictures of the Jellies Invasion Exhibit Opening at the Hamilton Gallery are from the NOGLI Facebook page. Pictures of the Jellies Invasion are from the NOGLI Facebook page. WBAL reported on Zeke's Coffee Kopi LuwakTasting. Mark Marone, the first brave taster of the day! Baltimore Main Street's Elizabeth Hines with her family. Our hope is to add many more classes in the near future and to continue serving our community for a long time to come! LAURAVILLE ACOUSTIC SHOWCASE Starts January 17th: Hey, Its Free! The LAURAVILLE ACOUSTIC SHOWCASE Starts January 17th. Hamilton musicians/singer/songwriters Paul Iwancio and John Seay are hosting a monthly show (as a listening venue) at the CHAMELEON CAFÉ. We’ll present live music on the 3rd Sunday of each month from 7 to 9 PM with a featured performer and 3 cameo performers. The first show will be on January 17, followed by February 21 and March 21. 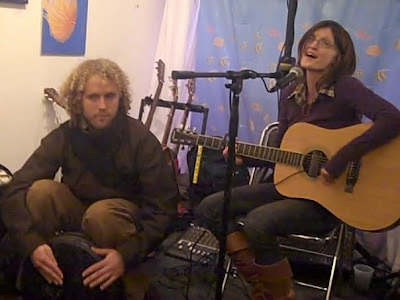 So, if good, local acoustic music is what you like, check us out! The lineup for January 17th features The Art of Meaning (Paul Iwancio, Nita Paul, John Seay and Carl Rosetti) with cameo performances by Sarah Pinsker, Ken Gutberlet and Sahffi. P.S. Although the Chameleon is an award-winning gourmet restaurant, the kitchen will not be open for Sunday Showcases. Drinks and snacks will be available. Check out the Hamilton Arts Collective music schedule on their website. Award Winning Songwriter Mary Battiata and 2005 Hank Fest Winner John Lilly join forces and bring their highly original, high-lonesome songs and sound to the Hamilton Arts Collective. 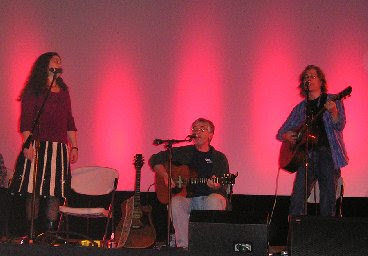 Happy Haines, Melissa Moran, and Shane Burke present a night of country and folk. The music of the DMC is secular, popular-style music based on literature, history, the world we live in and life in general. Maryland Morning highlighted the National Aquarium's exhibit Jellies Invasion: Oceans Out of Balance, and the Hamilton Art Gallery Jellies exhibit! 2927 Hamilton Avenue at the corner of Harford Road, 21214. 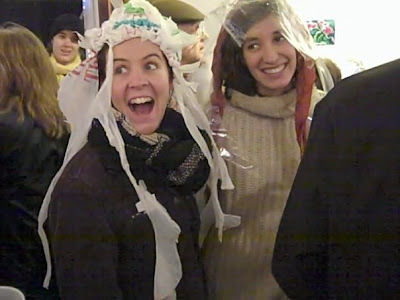 The exhibit at the Gallery opens Friday January 8 at 6pm and will continue through the month of January. Gallery hours are Friday 6-9; Saturday 1-4 and Sunday 1-4. Please join us at 2927 Hamilton Avenue to greet members of the National Aquarium from 6-9pm on Friday, 1/8/10. 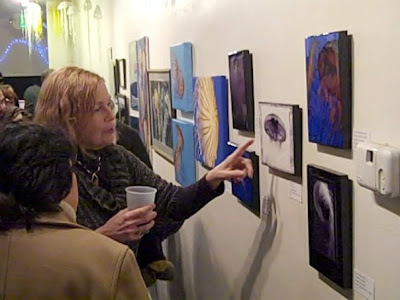 Artwork can also be seen at The Chameleon Cafe, The Red Canoe, The Parkside Fine Food & Spirits, Clementine, Hamilton Vacuum, and The Hair Shop, as well as some storefronts along Harford Road. Door prize & holiday raffle drawing will take place at 8:30! Tickets are still available at the Red Canoe, 4337 Harford Road & Hamilton Vacuum at 5421 Harford Road! When Bill “The Barber” Puller saw an ad for stylist-turned-owner Lisa Hawks’ Chop Shop in 2008, he knew it was something different. That certain something Puller sensed was Hawks’ vision for the business: a stylish boutique that’s edgier than your granny’s beauty parlor but not as stuffy as a high-end salon. “It’s the customers’ space,” Hawks says. “They own it.” The Chop Shop relocated from a few doors down the street to its current location in June 2009 (4321 Harford Rd. ; 410-426-2300; www.bmorechopshop.com), expanding its services to offer private rooms for facials ($10–$70), waxing ($8–$87), massage/wellness treatments ($45–$125), and acupuncture (yes, they take insurance!). Haircuts range from $16 to $40; single-process coloring is $50, and highlights start at $65. Any plans to offer more invasive beauty treatments? Hawks shakes her head and repeats her mantra: “Bangs before Botox, sweetie." Happy New Year to all at the start of this new, hopefully delightfully better decade. 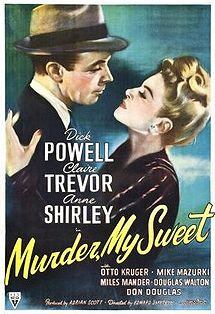 Shake off those cabin fever blues with what is considered by many to be the film noir, "Murder, My Sweet" showing on Saturday 1/23/10* at 7 pm. After the show there will be a lively discussion with film maker, Chris Reed. The showing is part of the Donovan Fund Film Noir Series befitting the Donovan Fund for City Seniors. Please join us for a good time and a great cause. (All proceeds go directly to help the basic needs of City seniors) & sit back for great film in your community to enjoy the stylistic shadows & light of Film Noir. Tickets are in demand so make you reservations early. 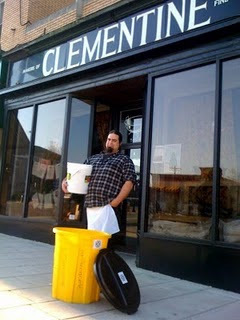 Call Chris to inquire about pre show dinner discounts at the Chameleon Café. Save the date & call to reserve early to Chris Muldowney at 410-366-1980 x271 or Box Office Manager, Paula Skleres, at x276. The Dan Meyer's Choir presents their unique choral experience for the first time at the Hamilton Arts Collective. The Dan Meyer Choir was founded in January 2009 in Baltimore, Maryland. It is a 4-part (soprano, alto, tenor & bass) chorus that sings all original compositions and arrangements by Dan Meyer. The music of the DMC is secular, popular-style music based on literature, history, the world we live in and life in general. entrance is on Hamilton Avenue, around the corner from the Pizza Plus. 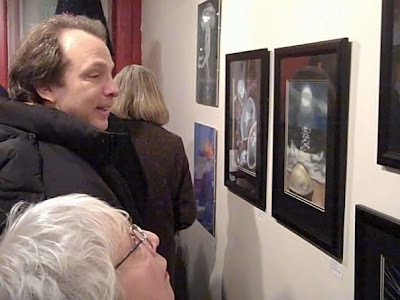 The Sun's Christy Zuccarini writes about the Hamilton Gallery's Jelly Invasion on Friday January 8, 2010, from 6:00 p.m. to 9:00 p.m. 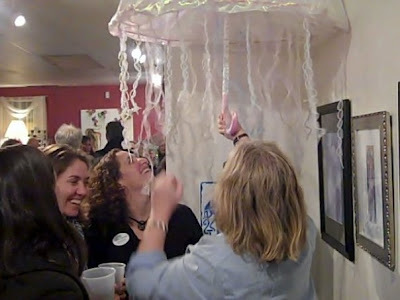 Inspired by the National Aquarium’s ever popular Jellies Invasion: Oceans Out of Balance, artists in Hamilton-Lauraville have come together to create a body of work that explores the impact of jellyfish on our aquatic ecosystems. 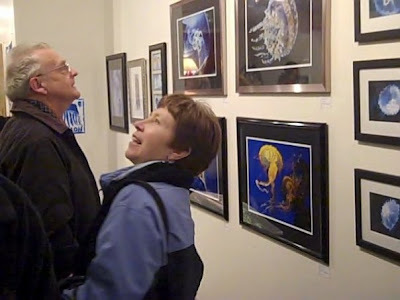 An opening reception, sponsored by Hamilton-Lauraville Main Street, Inc., will be held at the Hamilton Art Gallery on Friday, January 8, from 6-9 p.m.
"The intended message is that the jellies, though graceful and beautiful, are an indicator that the oceans are out of balance. Much of the artwork shows the absolute beauty of the creatures, while our gallery window will depict the relationship between our trash and the abundance of jellies in our waters. 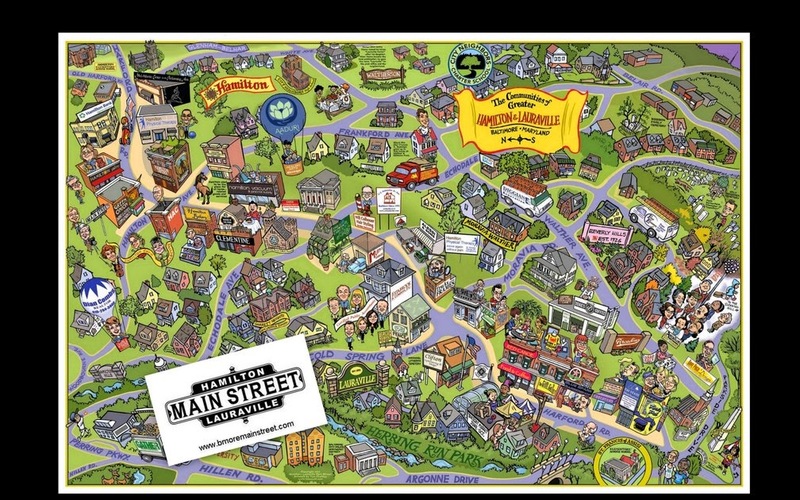 We, humans, are the cause of the problem," explains Regina Lansinger, Director of Hamilton-Lauraville Main Street, Inc.
On the night of the opening, light refreshments will be provided by the local restaurants and pubs of Hamilton and Lauraville on Harford Road. In addition, Nancy Hotchkiss, Senior Director of Visitor Experience and Education at the National Aquarium, and Susan Rothrock, Director of Strategic Marketing, will be present to share information about Jellies Invasion. Hamilton Art Gallery is located at 2927 Hamilton Avenue. Artwork will remain on exhibit in the gallery as well as in local restaurants and storefronts throughout the month of January. TASTE THE WORLD’S MOST EXOTIC COFFEE BEANS. Baltimore, MD – December 28, 2009 — Local Coffee Roaster, Zeke’s Coffee, is hosting their Third Annual Kopi Luwak Tasting, a unique opportunity to drink one of the rarest and most expensive coffees in the world. The Asian Palm Civet, or Luwak, is a small weasel like mammal that makes its home on the islands of Sumatra, Java and Sulawesi. The Luwak eats native coffee berries as a part of its natural diet, but the Luwak, being a picky eater, only goes for the ripest and freshest coffee berries. The Civet eats the coffee berries whole and digests the fruit but excretes the pit, or coffee bean. The Luwak feces is harvested, washed and sold for upwards of $600 per pound due to its rarity and unique coffee characteristics. Kopi Luwak is one of the most expensive coffees in the world, but you do not have to pay $600 a pound to try it. On Sunday January 10th, people get to sample a cup of Kopi Luwak for just $10. They can also get a combo deal of a ticket with a Kopi Luwak T-shirt for $20. The tastings are every hour from 8am to 3pm on Sunday January 10th, and they will sell out so be sure to get your tickets now. Zeke’s Coffee has been small batch roasting fine quality coffees from around the world since 2005. Zeke’s roasts coffee to order and only roasts ten pounds at a time, which ensures quality and freshness for all of their customers. 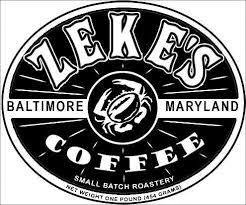 The Zeke’s Roastery, in the Lauraville neighborhood of Baltimore, is open Tuesday through Sunday and welcomes all coffee connoisseurs to come sample some of their dozens of coffee varieties and blends.